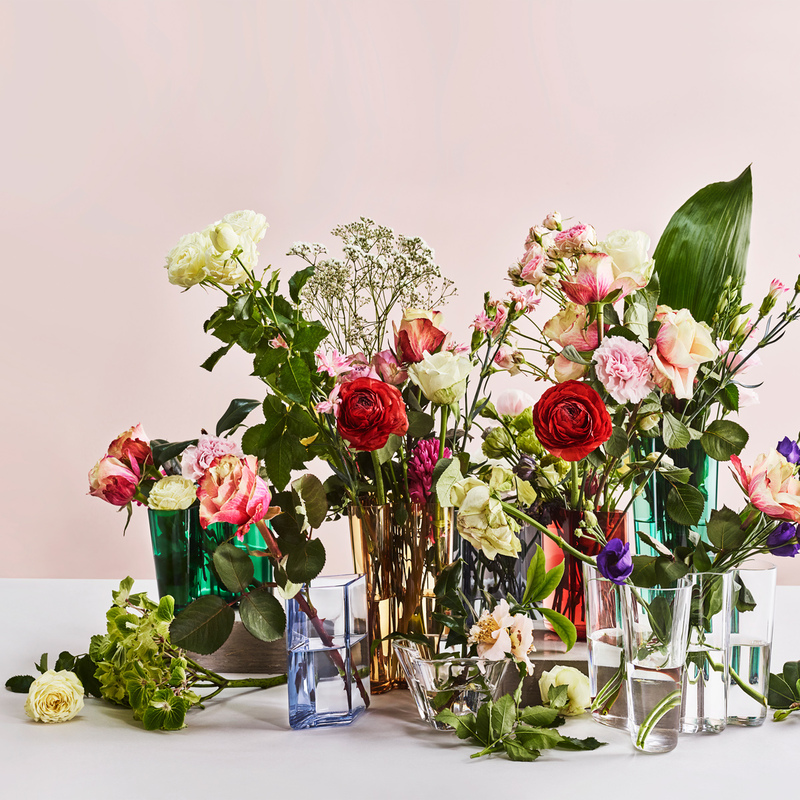 Home > Shop by Category > Gifts > Gifts by Occasion > Unique Valentine's Day Gifts > iittala Aalto Clear Vases > iittala Aalto Clear Vase - 6-1/4"
Home > Shop by Category > Gifts > Gifts by Occasion > Unique Corporate Gifts > iittala Aalto Clear Vases > iittala Aalto Clear Vase - 6-1/4"
Home > Brand > iittala > iittala Home Accents > iittala Alvar Aalto Vases > iittala Aalto Clear Vase - 6-1/4"
Home > Brand > iittala > iittala Alvar Aalto Vases > iittala Aalto Clear Vase - 6-1/4"
Home > Shop by Category > Gifts > iittala Alvar Aalto Vases > iittala Aalto Clear Vase - 6-1/4"
Home > Shop by Category > Living > Home Accents > Finnish Vases & Plant Pots > iittala Alvar Aalto Vases > iittala Aalto Clear Vase - 6-1/4"
Home > Shop by Category > Home Accents > Finnish Vases & Plant Pots > iittala Alvar Aalto Vases > iittala Aalto Clear Vase - 6-1/4"
Home > Shop by Category > Gifts > Gifts by Occasion > Unique Wedding Gift Ideas > iittala Alvar Aalto Vases > iittala Aalto Clear Vase - 6-1/4"
More about iittala Aalto Clear Vase - 6-1/4" For 70 years, the Savoy vase, designed by Finnish architect and furniture designer Alvar Aalto, has been one of the most famous pieces of glass in history. In 1936, Aalto anonymously entered his vase design for a competition at the Paris World’s Fair and it captured the admiration of design lovers ever since. Fluid in form, the famous shape is mouth-blown in Finland making each a unique piece of glass art. 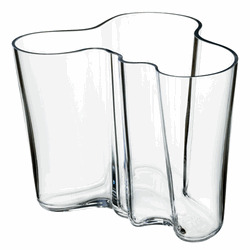 Fill with flowers, candies, or display empty; Aalto wanted the end user to decide the object's purpose. 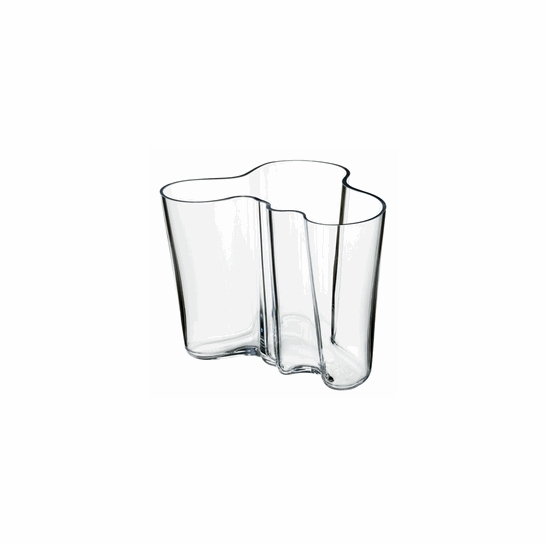 Specifications for iittala Aalto Clear Vase - 6-1/4"
Product Reviews for iittala Aalto Clear Vase - 6-1/4"
Thank you for writing. 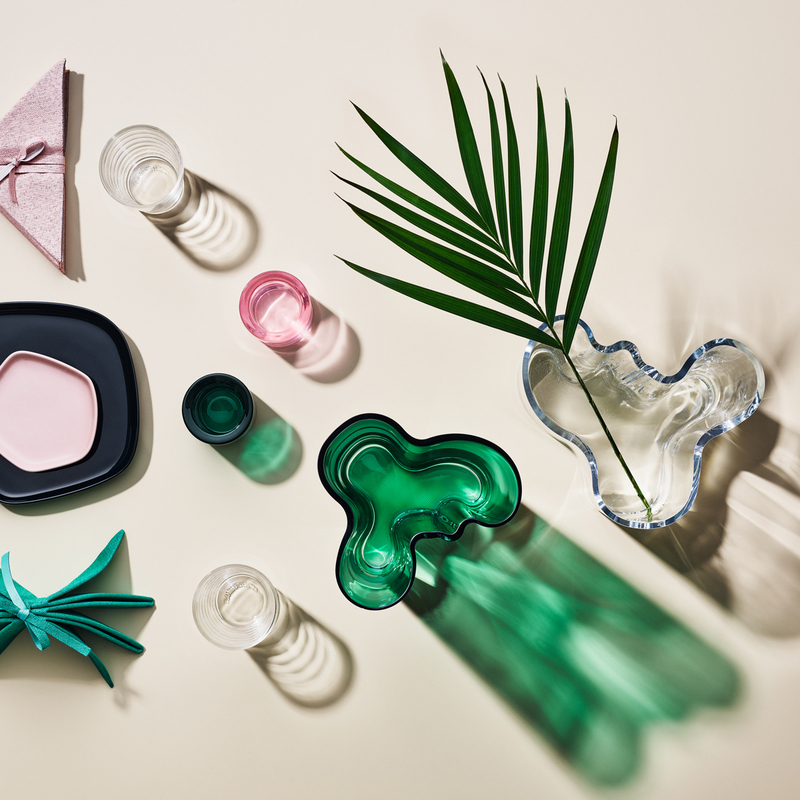 That's almost a trick question because there was not one original color for the Aalto vase. 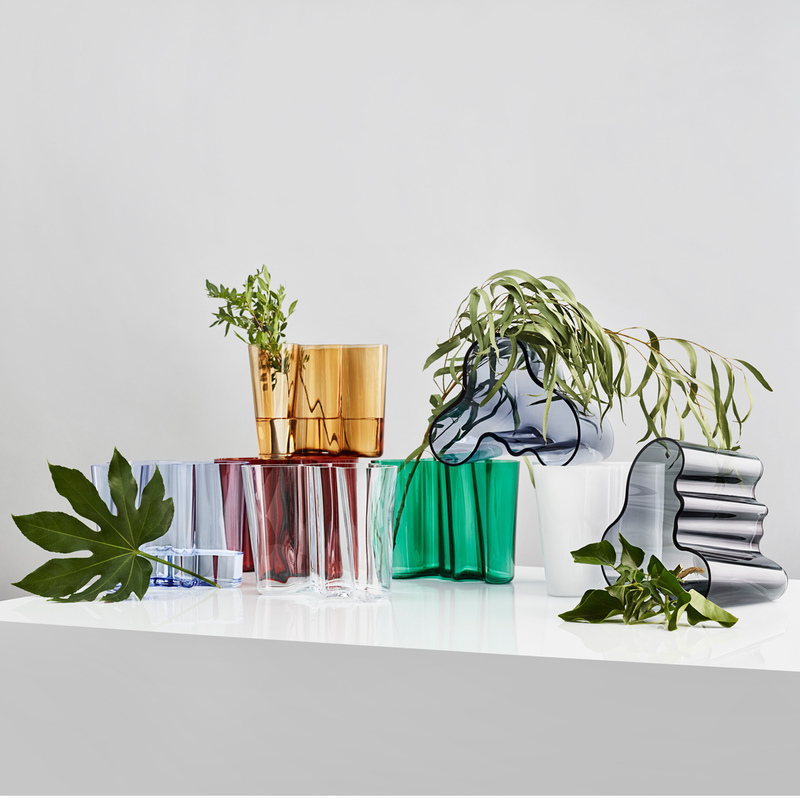 Glassblowers used whatever colors were available in the factory when they produced the first Aalto vases. The factory was primarily producing bottles and jars at that time in green, brown, green-tinted clear and other colors. 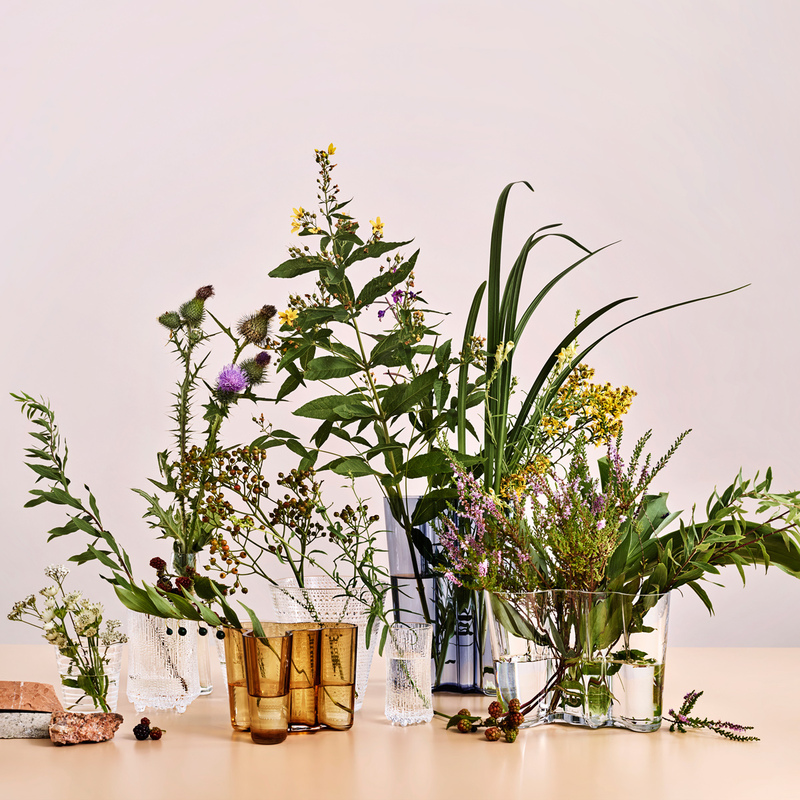 Iittala’s historian says the first vases were produced in 5 colors. Aalto’s original sketches for the vase also had many size variations. I believe that some of the first vases were 140 mm (5-1/2 inches) but there were other sizes produced around the same time. 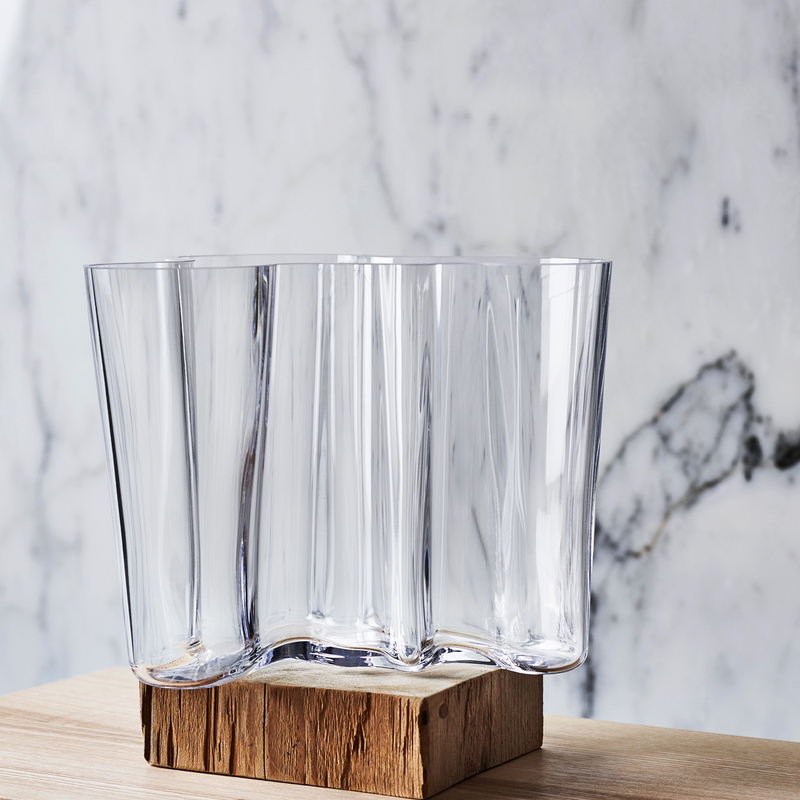 Currently, the most popular size used is the 6 1/2" Vases.